Although coloring your hair to hide gray is one of the most common reasons for dyeing hair, it can be difficult. 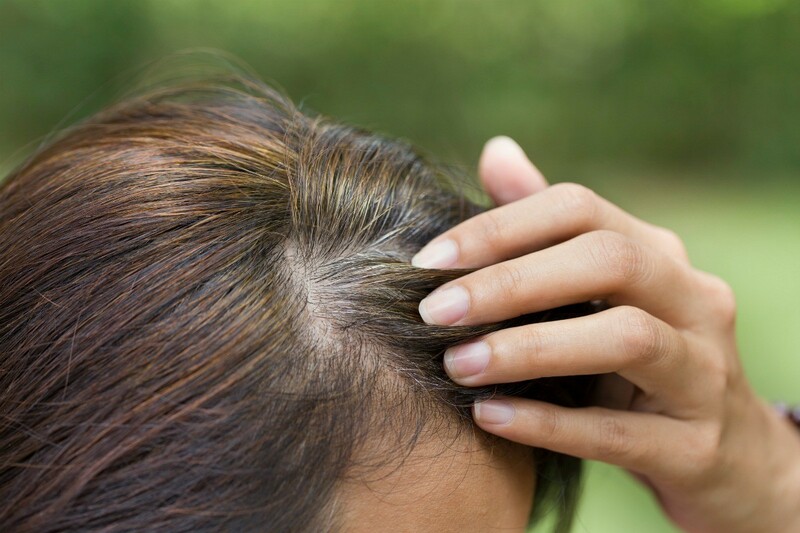 Gray hair often resists dye. This is a guide about coloring gray hair. I have just a few strands of grey hair but it bothers me. Someone mentioned tea. I either make a very strong cup of tea or coffee and comb it in and let it set 30 minutes or so. It helps blend in the bit of grey. Brush 30 developer on the resistant grays. Wait 10 minutes, then dye as usual. You will find the color will hold. Source: A hairdresser blog on the internet. I am brunette and I am graying. I color my hair myself however I have trouble with resistant grays. I start applying the hair color on the grays first (new growth and temple area). I leave it on these areas longer then apply to the whole head. I use shampoo for color treated hair but approximately a week later the grays are back! I did an internet search and it said to get hairdressing peroxide and apply to the grays before coloring. This is supposed to get the hair ready and make it absorb the color better. Do any of you have any ideas? Have you used peroxide? Any other tips. Thanks so much. I've had good luck with a product that seems fairly new called Perfect 10 by Clairol. If you don't mix it together all at once, I can get 3 applications out of it. 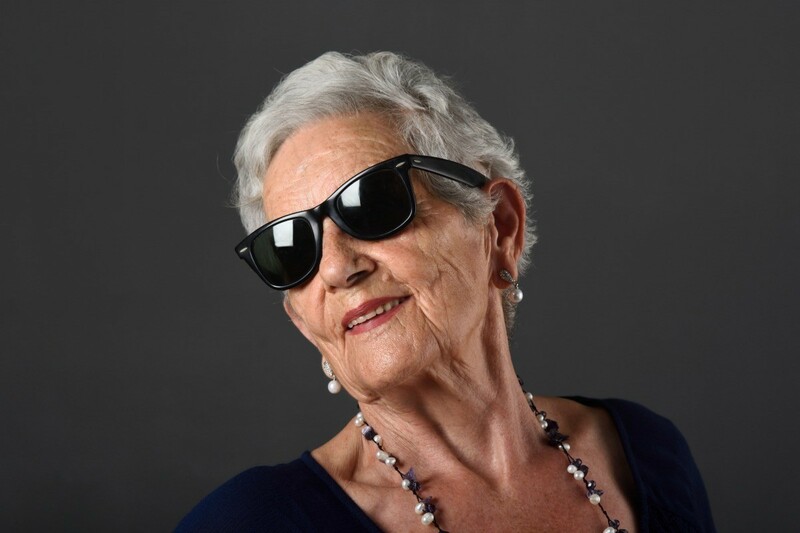 Clariol has a few colors that are made for gray hair. Now some of the gray will be lighter but it looks like natural hi lights. The one I used was made for gray hair and it works great. Try that and good luck. Go to sally's beauty supply and get some "Grey magic" which comes in a small bottle and add 10 drops to your hair color. It helps hold the hair color. 1. Primarily I use a semi-permanent hair color. This is a color that fades off in 4-6 weeks, and does not cover the grey, but instead blends it in. Very easy to apply, and hard to mess up. 2. Otherwise I use a color formulated especially for grey hair. This does make a difference, because they can be very resistant. Also, it helps to cover your head with plastic (shower cap, walmart bag, etc) and stay out of the air conditioning. Keep your head warm and this will open up the cuticle to allow your hair to absorb the color molecule. Also, when rinsing the color out, use cold water!!! This seals the cuticle back down. I dyed my hair chocolate brown with a permanent, full grey coverage product, but it has not covered the grey. Can I dye my hair again with the same colour the next day? You may need a different dye or a few drops of a gray booster, which you can add to your present color. Look for it at a beauty supply store. Normally a hairdresser would say no it isn't good for your hair. Normally, it is recommended to not dye your hair again for 6 to 8 weeks. However, if you do dye it again now, I would make sure to use a lot of conditioner on your hair so it won't damage it further. I used a shimmering color by Fierra. My hair turned blue. It was suppose to be silver. How do I get this blue out. Silver is a blue base color. If you do not have enough natural pigment in the hair, the blue will dominate. A very dilute color remover might remove just enough of the blue to give you the desired silver color. If you try this approach, be sure to do a strand test first to determine the strength of color remover and application time. Blue in hair coloring is a very unstable color. It fades more quickly than other colors. If you can wait it out, a couple weeks from now and a few extra shampoos might lift enough of the blue to give you the desired shade. It's worth a try. Adding 'counteractive' colors could cause you to end up with green hair. I naturally have dark hair and am now having to dye it every six weeks in order to keep the grays at bay (I'm probably 5 -10 percent gray). I like dark hairstyles with a few chunky blond highlights around the crown. I am unable to budget such a beauty treatment at this time and I am also the do-it-yourself type. Could I dye it my normal dark color to hide the grays and then follow it with a highlight kit from the grocery store? If so, how do I handle it six weeks from now? Would I re-dye the entire head of hair and create new blonde chunky highlights all over again? I have googled, but can't seem to come up with a good answer, as most of them do not have to dye their hair for grays. Thanks for any detailed answers you can give. I have been coloring my hair since it has started turning gray. I don't like the texture of my hair for about a week or longer after I've colored it. The dye makes it very slick without any body. I can't even keep it in a ponytail because the slick texture causes the elastic to slip right off! I don't have thin hair really. Anybody have a suggestion on how to avoid this slick texture after coloring? After about two weeks it feels normal, then in two more weeks it's time to color it again. I dyed my hair with a brand I had never used. The color did not take, and my grays are still there. I have a wedding to go to in 3 days. Can I re-dye it? I am 65 yrs old. I'm been coloring my hair at home with box color. My natural color is dark brown. 6 wks ago I went to a beauty school where they bleached my hair. It turned 3 different blonde shades. I went back and they fixed the shade, but the roots in front were gray. 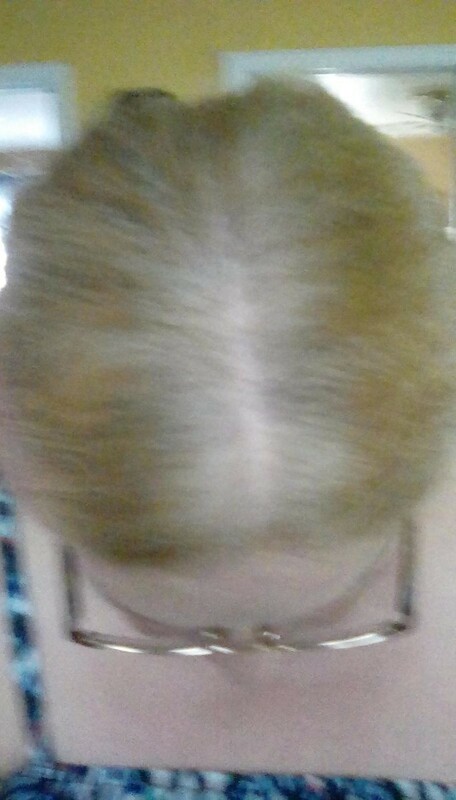 I waited 4 wks went back and had them do my roots. When I came home the roots were still gray? I have used temporary box color for about 15 years trying to match my natural color of ashy light brown and cover grays. I have decided to let the gray come in. So with about 1-2 inches of regrowth, I asked my hairdresser to color it to my natural shade. The intention was that the gray would come in and there would be very little regrowth line, if any. It came out much darker than I had imagined. I am washing hair daily, instead of every other day which had been my previous routine, with only a slight fading and small touch of gray showing at the temples. With so many years of coloring, I'm wondering if this is really my natural color. The dark hair really makes my face look washed out, and because my brows are very fine and thin, it almost looks like I don't have brows at all. Should I go back and have it lightened somewhat, or just live with the darker color until I see if there is a regrowth line? I dyed my hair approximately 2 1/2 - 3 weeks ago. I have a grey patch of hair right in the front of my head at the hairline. It's already grey again. An employee at Sally Supply told me to use Grey Magic and a protein rinse to help with the grey. I also purchased a leave in conditioner, and a thinning hair shampoo and conditioner. It doesn't seem to be helping. My hair is damaged on the ends. I have cut 2-3 inches off. Any suggestions on what to do as far as coloring to keep the grey patch from coming back so soon? And as for the thinning I'm not sure if it's due to coloring or something else. There are these pretty cool color sticks that you can draw on your hair if you'd like to touch up that one part. you could even make it look like a gray streak/highlight. Just draw the dark line but leave one gray line in between. I have one (just like my beloved mom used to!) that I make sure NOT to color so it shows. I always get compliments for it! Is it the roots that are showing grey, or is the whole grey patch not taking the colour like the rest of your hair? Actually, my advice is the same in either case -- try colouring the roots/patch with a root touch up dye. You probably have a patch of grey that is more resistant to color. Since the color does not penetrate as well, it does not 'hold' as well. In such a case, the professional colorist will pre soften that patch before applying color to the entire head. This can be accomplished by keeping the patch wet with a bit of developer that came with the color, for about half an hour. Then, dry the patch (Do not wash or rinse), and apply the color, beginning with the resistant patch. I have been using the standard boxed hair color for years to get rid of my gray hair. But the past couple of times I colored my hair, using the same procedure, it's like I didn't do a thing. The grays were still there. Am I doing something wrong? Are they developing a resistance? Do I need to start pre-treating with peroxide? Help! Yes it is a pain isn't it. I have the same problem, did some research, and found a product called Gray Magic you add to your color solution prior to coloring. If you get too much red in your hair, you can followup with Unred also by Ardell. Gray hair is stubborn to dye. You may need to go to the beauty shop and have it professionaly done. 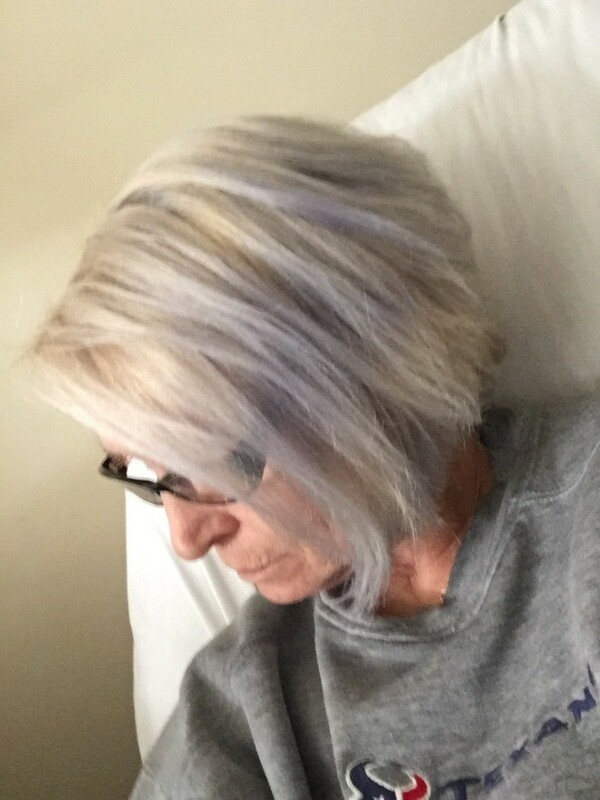 Does Nice and Easy hair dye work on stripped out hair that is all white gray? There is a Clairol hotline. The number is 1-800-252-4765. I have called them a couple of times. They have experts there who really know their products. How do you get hair to take color? I have an area like my mom's skunk lock starting. Is there anyway to cover stubborn gray/silver hair? I would appreciate your help. Thank you. Well, 'Kimberly', assuming you are referring to a spot treatment rather than the whole head, here goes. I can tell you how I solved this problem. If you choose to use my method, you do so at your own risk. I say this because when I used it, it was with years of experience and I could pretty well predict the outcome. As a rule, grey hair is more resistant to color than is pigmented hair. I found that grey hair in the temporal area was often more resistant and getting that hair to accept color was a problem. The problem was solved by pre softening the resistant hair prior to applying color. The hair could be pre softened with a mild oil bleach, but even though the bleach would be left on for a short period of time, it would lighten the 'grey' pigment. You don't want that. I pre softened the hair with something that would not change the hair color. I chose one of my milder permanent wave solutions. (Back then, all perms had the active ingredient thioglycolic acid. Most still do, today). I diluted a small amount of the perm solution with about an equal amount of water. This mixture was applied to the resistant hair with a swab and allowed to remain for about 5 minutes. The hair was then rinsed and dried. Next, the color was applied in a normal manner. I usually had very good results using this method. You might get temporary staining of the skin in those areas where the hair was pre softened. 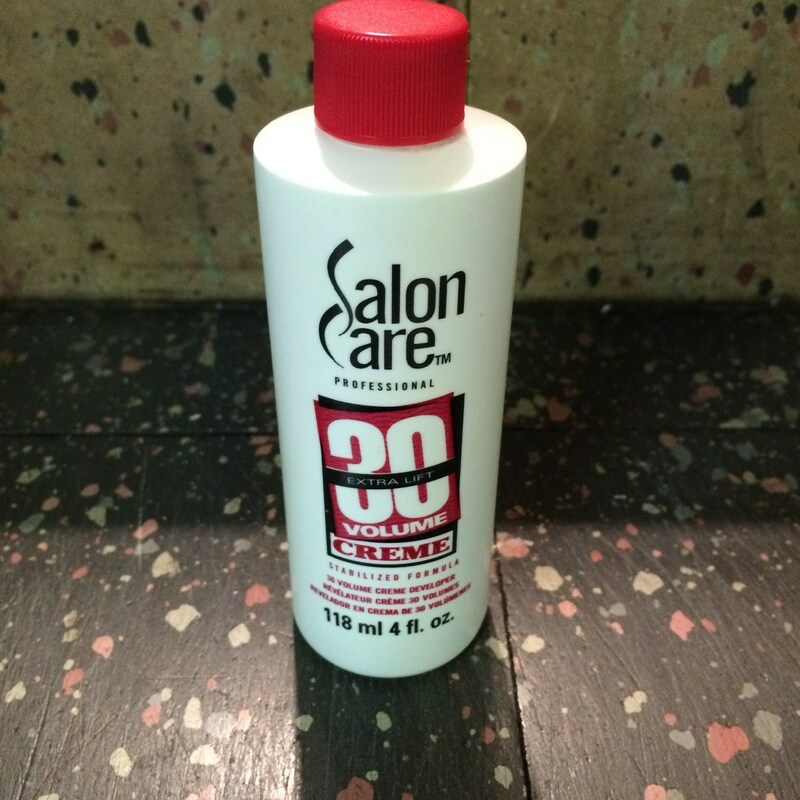 This can be minimized by removing the perm mixture with the force of the water spray only. Do not scrub the area. Do not use shampoo and most certainly, do not use a neutralizer or fixative of any kind. I have naturally black hair, but about 6 months ago I got my hair dyed brown with blond highlights. Lately, I've noticed a few gray hairs popping up - especially in the patches of hair where my hair was highlighted. I know that the lady at the salon had used Schwarzkopf for the highlights. I am now panicking, because this is the first time my hair has turned gray and I am not old enough to start graying (I am 32). I did cut one off and I realized that it was an actual gray hair i.e. hair without pigment. Vitamin deficiencies are said to be a cause for premature greying for some people usually has to do with vitamin b, but it could also have to do with thyroid or pituitary gland. You may want to check it out with your dr! I have spent 8 months growing out dark hair color. My hair dresser suggested using dark blond and it's been working. Today I used Gray Magic in my blond solution, and my hair turned almost black. I'm devastated. What can I do to get this out? I immediately shampooed my hair, but it didn't do any good. Did you read the bottle of the grey magic? Some is for blonde hair and some is for brunette hair. Did you get the right grey magic? You only use 10 drops per ounce of hair color. I used a 6N Shades EQ with drops of Gray Magic. It went 2 levels darker. Is there anything I can do to take it out? My friend had this issue and the hairdresser had her wash her hair with dawn dish detergent twice then deeply condition over the next few days. Hope this will help you. Gray hair can be especially attractive with added highlights. You can low light your hair yourself or with help at home. This is a guide about glam up gray hair. This is a guide about grey hair that doesn't hold color. Grey hair is know to have a different texture and be more resistant to taking color. Here are some tips to try if you are having trouble coloring your grey hair.